Prasad Samarathunga, a well known film journalist attached to the Sarasaviya weekly, will be releasing his debut film titled ‘Iskoleta Mang Aava’. The film will begin screening at MPI film circuit theaters from April 5 just in time for the school vacation. Produced by Sandun Dolamulla the film stars Edna Sugathapala, Kumara Vanduressa, Roshana Ondaatje, Rajitha Hiran Chamikara, Upul Weerasinghe, Udith Abeyratne, Samanthi Lanarolle, Theja Nadeeshani, Viraj Madushan, Kusal Weeramanthri, Shayani Rochana Neththikumara, Jagath Apaladeniya, Jayatissa Athulasiri, Rohan Paukl, Aruna Dhammika and many more child actors and actresses. Sumith Kumara is the cinematographer. Niroshan Wijesinghe is the assistant director. Ranjan Prasanna is the coordinator of the project. Rasika Thennakoon handled the make up department. 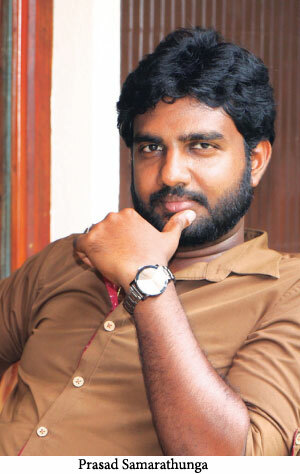 Chaminda Vass is the art director. Sujeewa Rohan is the production manager. Shan Alwis is the editor and color mixer. Udara Samaraweera is the music director. Kusal Weeramanthi has rendered his voice for the songs. Sanka Samarappuli is the lyricist. The still photography was by Nissanka Wijeratne. Prasad has previous acted in a number of productions. He has even penned the script of ‘Ulath Ekai Pilath Ekai’. He has also penned the lyrics for a number of renowned songs.